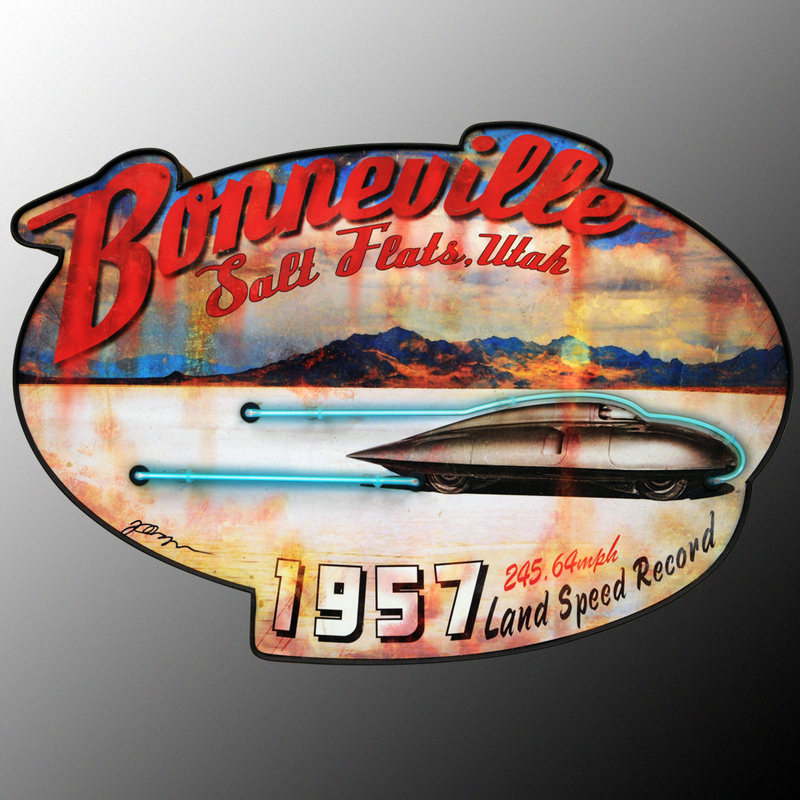 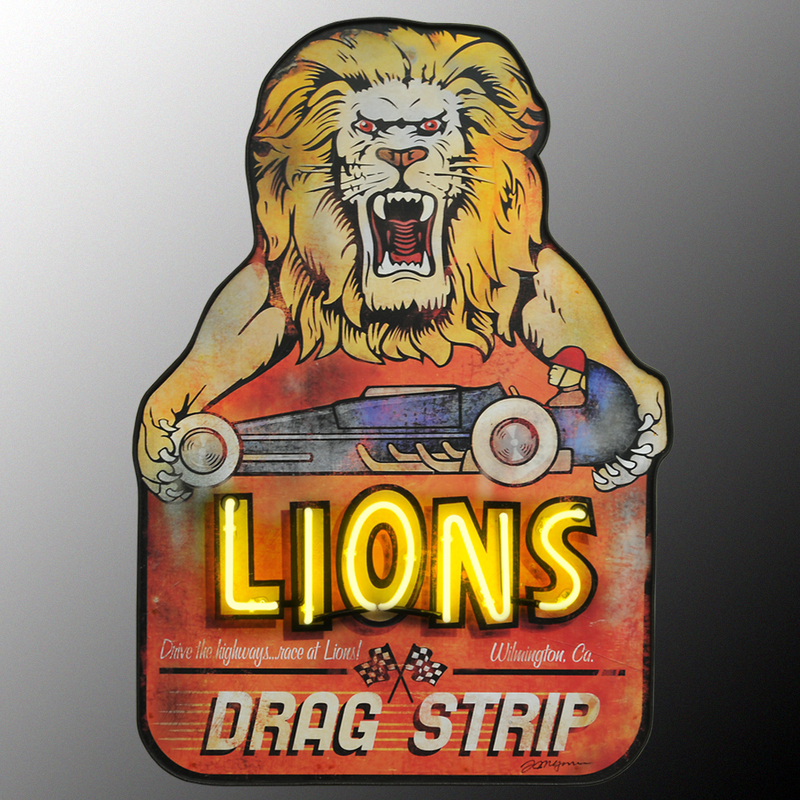 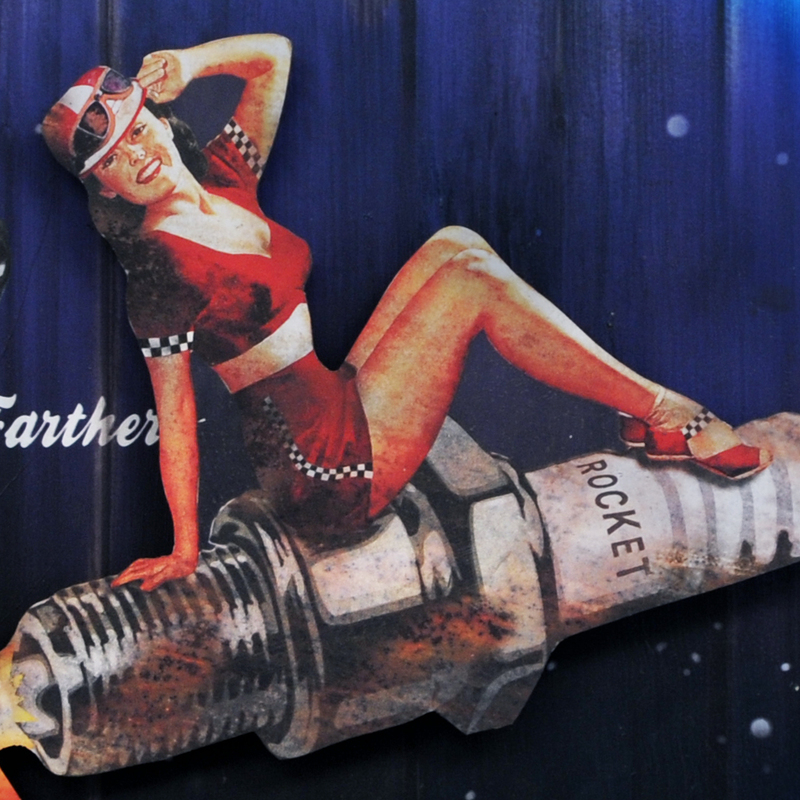 This Vintage Hot Rod design will surely get all your cylinders firing! 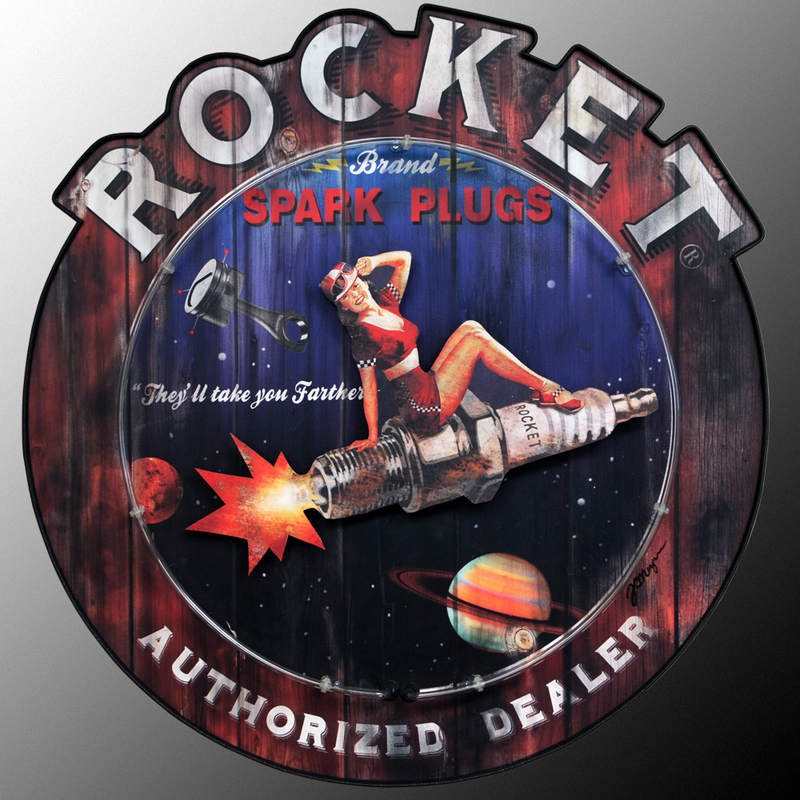 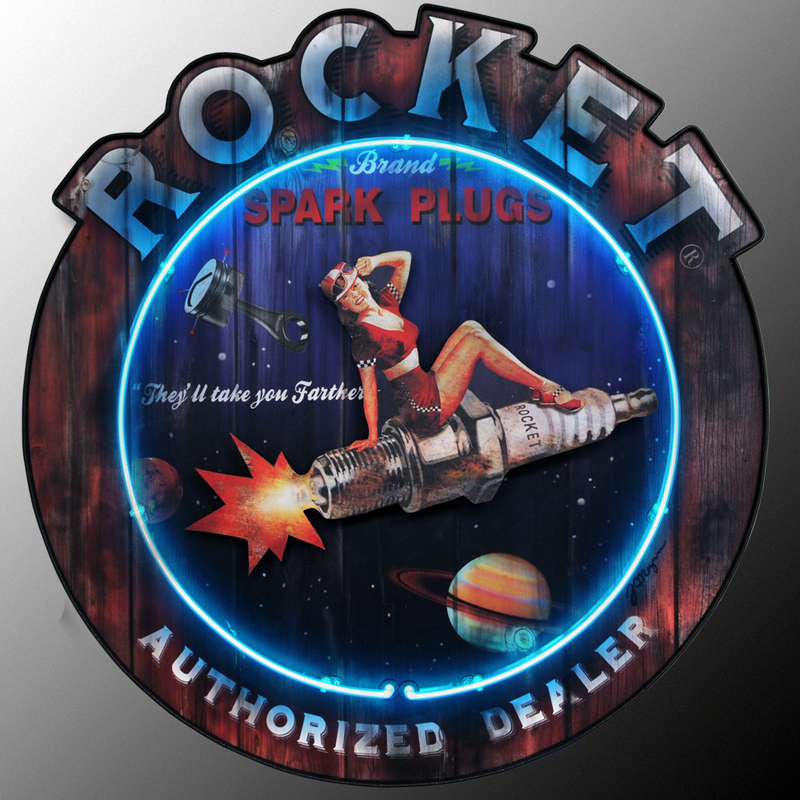 As our pin-up girl streaks across the galaxy… she rocks on her “motorized ”spark plug, while a cool blue neon “Rocket” lights her way. 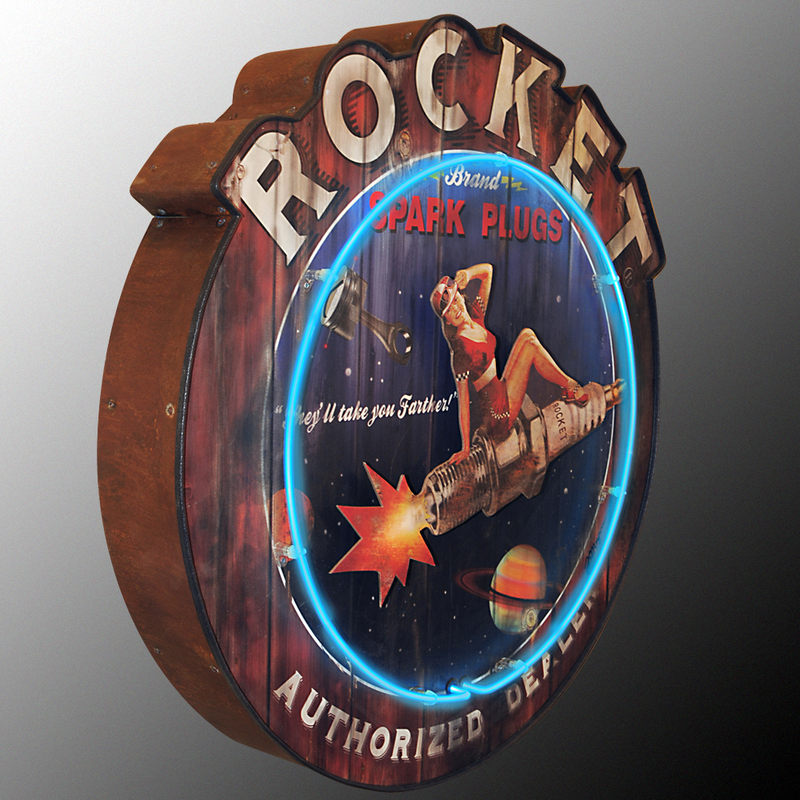 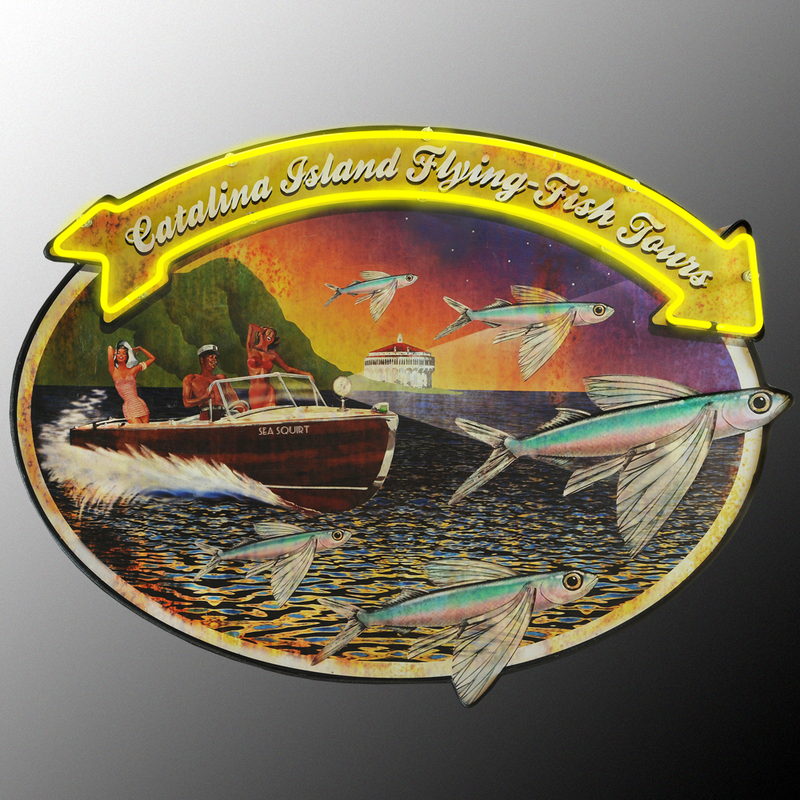 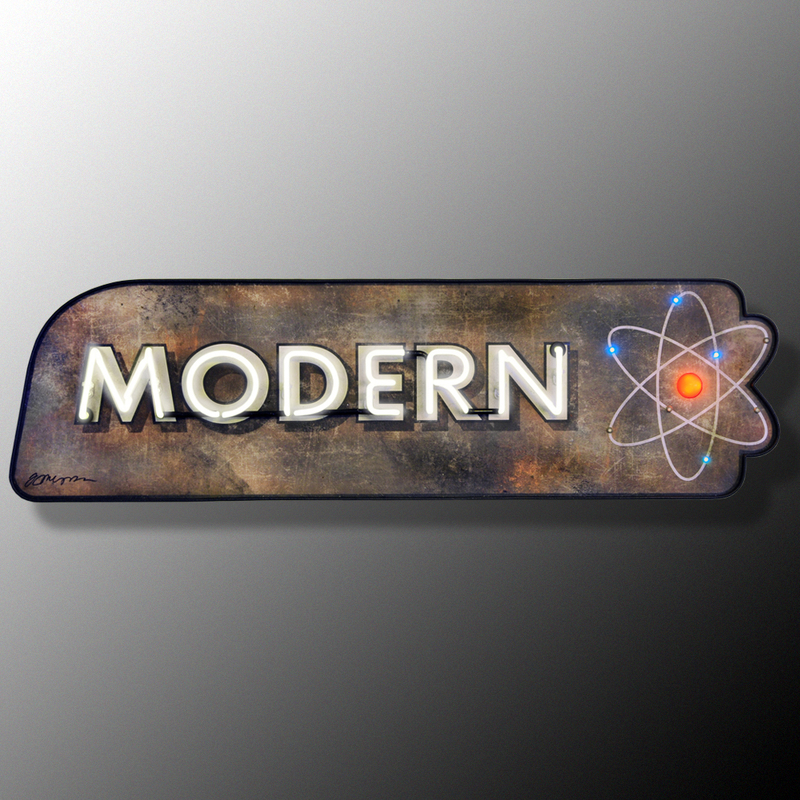 This art piece features weathered wood-slat background art and rusty metal steel sides.